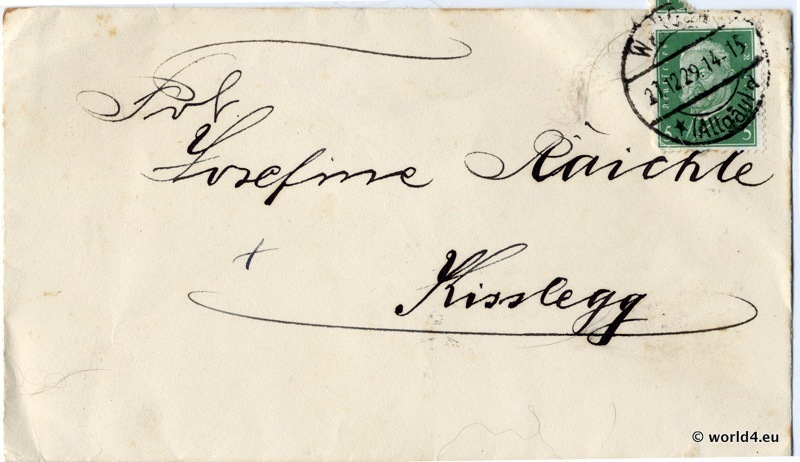 Home » Calligraphy » Old Letter Cover German Empire 1915. Beautiful handwriting on this letter cover from Germany. Stamps, clear Postmark. German Empire. Previous PostHorn handle knife with bronze, c. 1900.